Randy Moss was one of the most dynamic athletes and enigmatic sports figures in recent history, and even with no shortage of interesting topics to cover from his professional career, the ESPN 30 for 30 documentary “Rand University” spent little time focusing on the future Hall of Fame wide receiver’s journey in the NFL, and instead concentrated on his time growing up in West Virginia as he navigated his way through turmoil to ultimately end up as one of the greatest receivers of all time. The fact that Moss did things in the NFL that, in retrospect, seem almost impossible while also serving as a lightning rod for controversy both on and off the field make it all the more interesting that the documentary didn’t highlight much about his professional career. If it had, “Rand University” easily could have lasted another hour as it delved into his early years with the Vikings and being mentored by Cris Carter, his lost years with the Raiders, his record-setting stint in New England with Tom Brady and Bill Belichick, his bizarre 2010 season where he played for three different teams, and finally his last hurrah with San Francisco in 2012 where he once again came agonizingly close to the Super Bowl title that had eluded him throughout his Hall of Fame career. But to focus on everything he did in the NFL would have taken away from where it all started for Moss and the fact that he almost didn’t make it out of Rand, West Virginia at all. 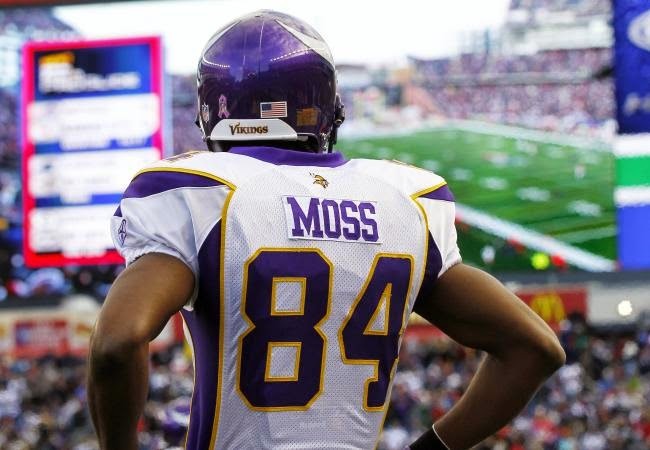 Standing 6’4’’ boasting a mythical 4.25 40-yard dash, a 39-inch vertical leap, and a seemingly effortless ability to move with or without the ball in his hands, there simply aren’t many people on Earth who could do the things Randy Moss did on a football field. But Moss had to get on the field first. From serving jail time for his role in a racially charged fight during high school, to being dismissed from both Notre Dame and Florida State before he ever played a game for either school, to setting records at Marshall University only to see his draft stock take a hit after he had the dreaded “off the field problems” tag applied to him by NFL front offices, it seems that Moss had just about gotten to a point where he had no more margin for error if he was going to make good on his talent. Which, given his once-in-a-lifetime abilities, is almost hard to fathom. But like he did to most defensive backs, Moss seemingly outran his margin for error too. Amongst many other things, whether or not you’re successful in life can boil down to how great your margin for error is. No matter who you are and no matter how you define success, there’s only a certain number of missteps you can make before your window for success closes and you’re out of chances. Of course, everyone makes mistakes along the way and everyone has different goals, but the thing that can sometimes separate those who ‘make it’ from those who don’t is simply that some people could make more mistakes than others during their journey. 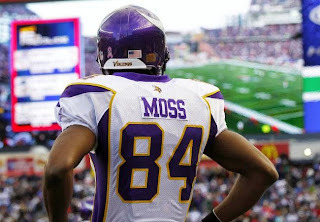 Randy Moss, thanks to his otherworldly physical gifts and intelligence had an extremely high margin for error, and even then he was probably only one or two more mistakes away from never getting the chance to play in the NFL. But Moss literally and figuratively outran his margin for error and made it to the NFL. If he was just a few steps slower, football might have been deprived of one of the greatest and most awe inspiring players anyone has ever seen. Thank goodness he ran a 4.25 40.